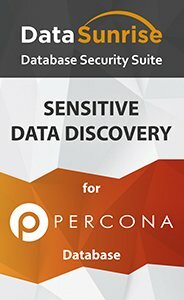 DataSunrise Data Discovery tool is designed to accurately identify and locate information contained in Percona Server for MySQL databases. Users can apply either built-in search filters or create their own filters to trace financial and medical records, personally identifiable and confidential information, and other types of sensitive and regulated data. To effectively protect something, you first need to know what you are protecting. Therefore, an effective data security strategy starts with discovering where the information that needs to be protected is located. DataSunrise data discovery tool is the fundamental feature which enables to determine the location of confidential, personally identifiable and other types of sensitive and regulated information. Search of sensitive information is performed across all available database elements. In case it is necessary to find sensitive data in a particular database or table, it is required to specify the location. Also, the user selects data types to be searched. After identifying the columns containing sensitive data, Masking, Audit and Security rules are created. Security and masking rules allow users to make those columns available for a limited group of employees and reduce exposure of production databases to unauthorized personnel. DataSunrise ensures that companies achieve complete visibility into the data they process and stay compliant with HIPAA, PCI-DSS, SOX, GDPR, etc.